In one of our previous articles we reviewed a nice runner type of game that really cached our attention at that particular time. 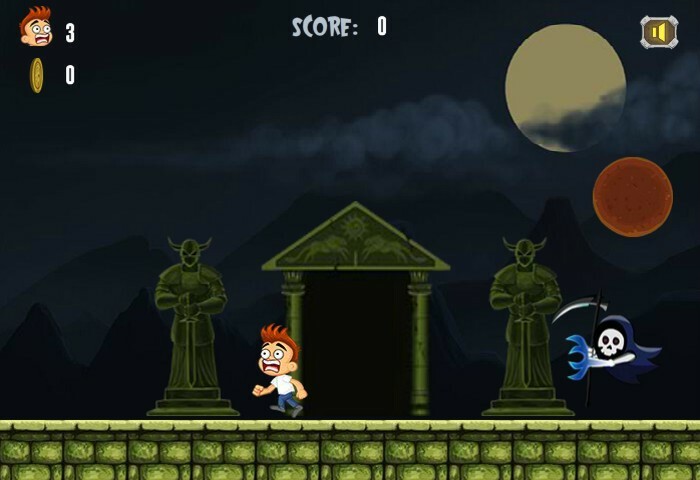 The game goes by the name Freddy Nightmare Run and if you played it and managed to make it to the finish, you probably got the same “Aghhh” expression on your face once you reached the end and nothing happened and you just got a “To be continued” text displayed on the screen. Well the wait is now over as Freddy Nightmare Run 2 is from now available. I must say that I was really curious to see how the developers would continue the story and if this sequel will manage to outrank the first episode. My personal opinion is that the current game is at least at the same level of quality compared to the first if we speak in terms of a short general review, but if we take a more closer and in depth look we can easy observe that some new great features were added. The game starts by presenting a nice intro that tells the story behind Freddy’s nightmare again so that the new players can also get familiar with the mission they need to accomplish, so once things are clear for everybody, it’s time to take on to this new set of challenges and defeat the evil Soul Catcher for good. 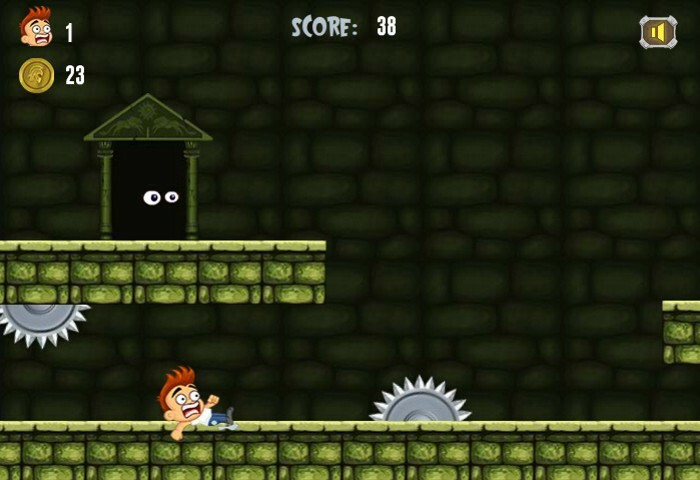 Even though the action remains almost the same as in the first part, some new enemies makes their way in along with new types of obstacles, challenges and a different way of controlling Freddy, especially inside levels 2 and 3 where you are able to move back and forth, besides jumping and sliding. This time the action takes place inside the Soul’s Catcher lair’s dungeons, a deadly place haunted by ghosts and monsters. Here lot’s of deadly traps are set in front, beneath and above so you really need to master those keyboard controls like a pro in order to be able to avoid all the hustle fast enough to stay alive. The game was built in order to be hard to beat, somehow reminding me of the old 8 bit era games like Castelvania, yet I find the first part to be bit harder that this one. The succession of obstacles looks like it happens to fast as they appear really close one to another, not letting you room for any mistake. To make things even harder when Soul Catcher will appear from behind trying to hook you with the scythe, you also need to synchronize your jump correlated to the obstacles or enemies in front of you. This might look somehow too hard to beat for some players, yet if you take some time to observe the things closer you will learn to “feel” the perfect moment to make your jump . Some might even consider level 1 being harder to beat then the following ones because of this, considering the fact that in higher levels the Soul Catcher has a different type of attack by appearing only in front of you. Once you manage to reach the boss level, things become really clear as you know you need to face your nightmare in a final battle. The battle goes against the evil Soul Catcher himself, but as you might have expected, things will get a lot more complicated as you need to fight your enemy, avoid his attacks and at the same time get yourself out of the way of the incoming obstacles. 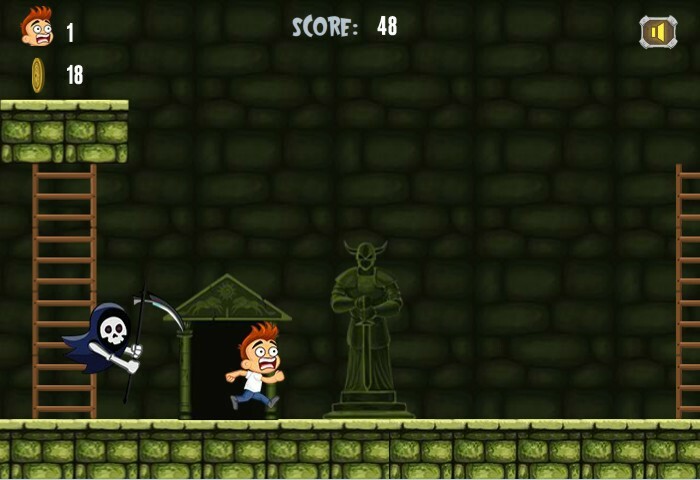 The final conclusion is that Freddy Nightmare Run 2 is a great flash game that really worth your attention.